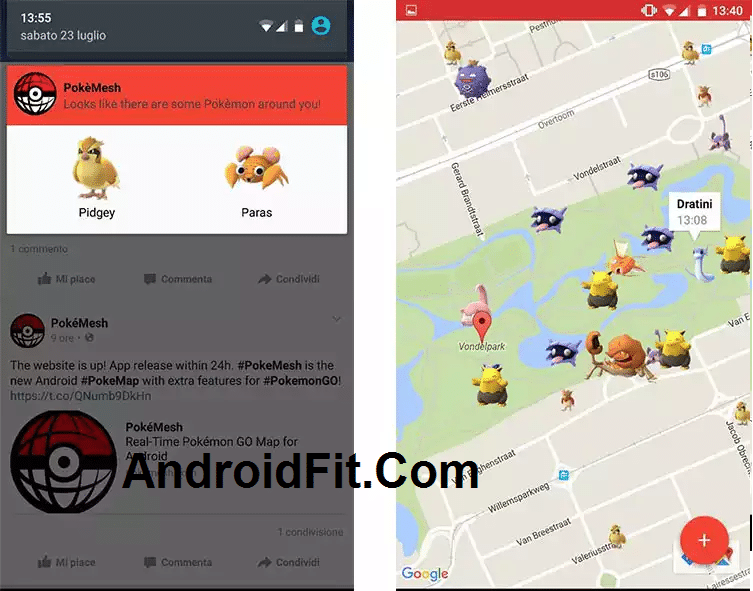 Poke Radar for Pokemon GO: Poke Radar apk is an application to find Pokemon more easily on Pokemon GO. How? Easy: with the help of the huge community of gaming. 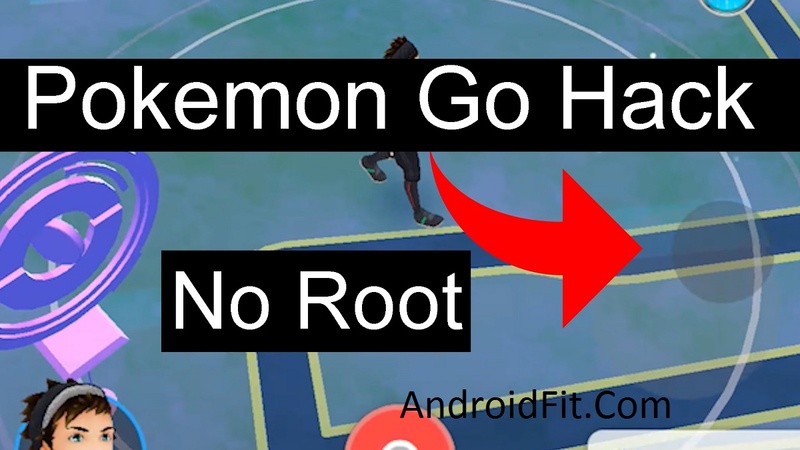 Using Poke Radar for Pokemon GO is easy. 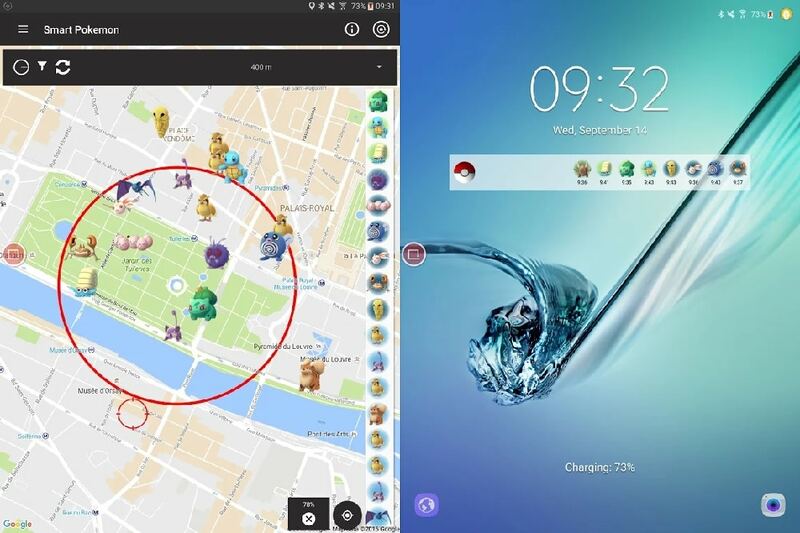 You can see all the Pokemon near your area that have been discovered for yourself and other players on the map, and the times of day they were found. The original Poke Radar for Pokemon GO is a wizard application to discover the location of any Pokemon that was found by other players. 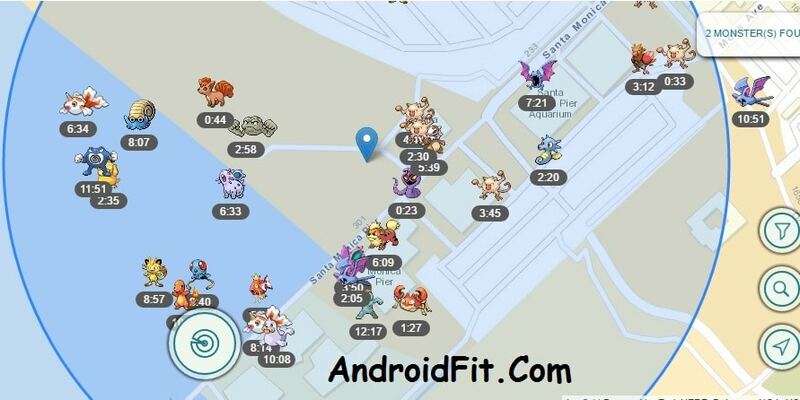 The application consists essentially of a satellite map which you can add Pokemon you at a specific time. Just click on the button Pokeball, enter the Pokémon you captured, and then add the name of your coach. A piece of cake. 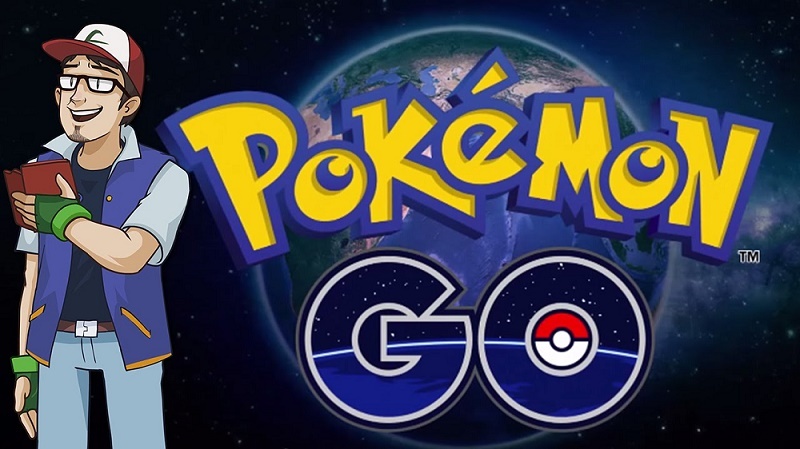 How to use Poke Radar for Pokemon GO? Poke Radar is a very useful application for Pokemon trainers. That said, be careful in the most dangerous parts of your city – especially if a Mew and Mewtwo a appear in these areas. If you try to find the location of a specific Pokémon, you can quickly use the “Filter” function to find the one nearest you. When you open Poke Radar, you will see that many Pokemon has been located in your area (some areas have more and some less). Click a Pokemon to see the name of the coach and the date on which the Pokemon was caught. 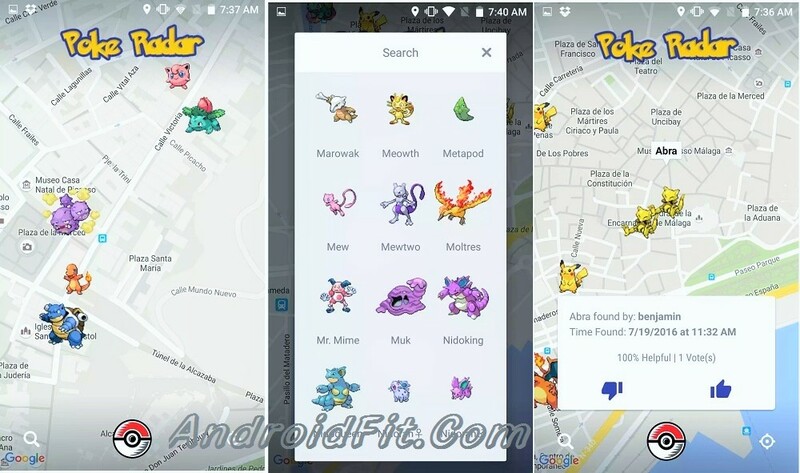 Another very interesting feature in Poke Radar allows you to search a specific Pokémon. Just click on the magnifying glass icon, choose the Pokémon you want, and wait a few seconds. Then, the application displays the Pokemon of this specific type that is closest to you. Sometimes you will find that they are five blocks – and other times, in the next town over. Since Poke Radar Apk for Pokemon Go is driven by this community. It is possible that there are no Pokemon places in your area when you first download the app. If this is the case, you can go out and mark the locations of the Pokémon you have found to help the other players in your area. When others see the location of Pokemon locations you marked, your trainer will also name associated with your reputation of the local trainer. Everybody gotta Catch’em everything – so why not work together? All Pokemon site submissions have the ability to be “upvoted” or “downvoted” by others. If a bid is receiving too much “downvotes” it will be automatically removed from the map. Very Locations “upvoted” will display priority on the map. Poke Radar for Pokemon GO is in no way affiliated with or endorsed by the Pokemon brand, Niantic or Nintendo. 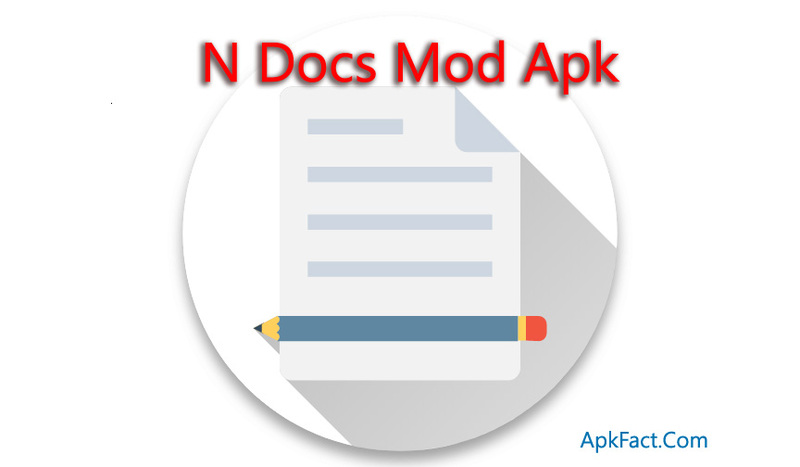 This application was built by fans, for fans who love Pokemon GO game and wanted to create this application wizard separately to support his community. If have any problem about it, then please comment here.